HdqPlayer is yet another ad-supported program that must be removed as soon as it is discovered running on your operating system. Like so many other adware programs of today, HdqPlayer is advertised in a devious way as well. On its official website, this adware application is promoted as a great tool that should help you make various video playlists from multiple online sources. While at first such statements sound tempting, you must know that, in reality, this adware application does little to help you with your online video watching experience. In fact, this ad-supported program will only make your online experience worse by causing numerous disruptions while you are browsing the web. It goes without saying that the removal of HdqPlayer must be executed to avoid such instance. Do so by following the detailed removal guide that we provide below. 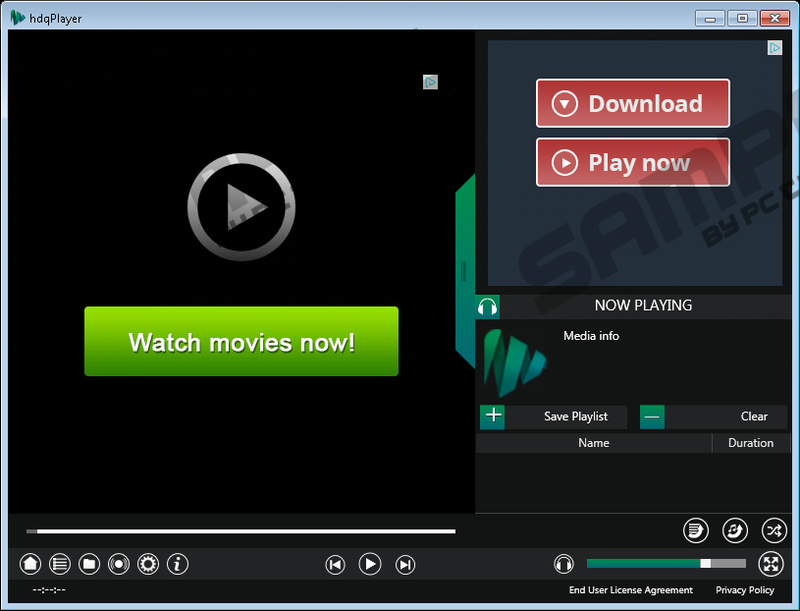 Since it has been discovered that HdqPlayer has been developed by SoftForce LLC it is not surprising that this adware program is very similar to ViPlayer because the same group has crafted it; thus, the functionality of these ad-supported programs is naturally similar. As soon as HdqPlayer enters your PC it will flood your web browser with numerous third-party commercial ads and annoying pop-ups just like its counterpart. It is important to state that this adware program is compatible with web browsers such as Mozilla Firefox, Google Chrome, and Internet Explorer, meaning that no user can be entirely safe. All the unwanted third-party web content that you are provided with will be presented to you in a totally random way. If that was not enough at times, your browser might get filled with ads and pop-ups so much that you could be forced to fight through them just to navigate through the web. It is not surprising that as long as this adware is active surfing the web the way you are used to will be virtually impossible. Fortunately, you can regain the standard functionality of your web browser by conducting a complete removal of HdqPlayer. If you are a security conscious user, make sure to take a few preventative steps to boost your virtual security. First of all, make sure to stay away from all the third-party download websites as it is well known that they provide bundled installers. Such installers are infamous for being used to distribute suspicious or even potentially malicious programs. Besides that, you are advised to pay your utmost attention to every removal procedure as you could be presented with an opportunity to cancel the setup of an unwanted program. Lastly, but most importantly make sure to implement a professional malware detection and removal tool because such a tool provides overall system security at all times, meaning that virtually no infectious program will be able to enter your PC. The removal procedure of HdqPlayer, fortunately, is rather simple because you can delete it via Control Panel. During the research, it has been noticed that in some cases manual removal did not remove every single bit of HdqPlayer. To be sure that not a single file or a registry entry linked to this adware program is no longer active on your computer make sure to conduct an in-depth analysis of your PC for potential leftovers. Select HdqPlayer and click Uninstall. Quick & tested solution for HdqPlayer removal.